would you believe that I've never had a banana split? 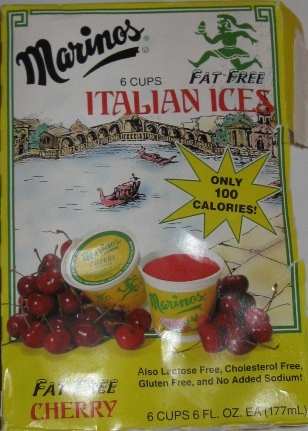 OK, how can an italian ice, which is, by near defination just water, sugar, and some fruit flavor? 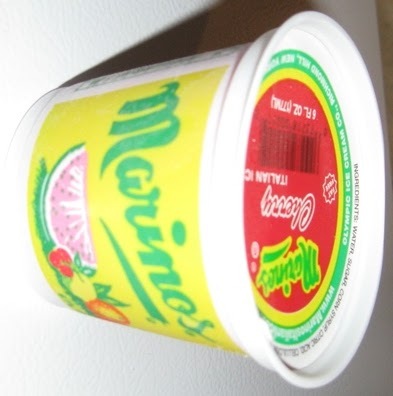 Stick to the originals, which, actually I grew up inhaling all summer long. I have no idea how they messed this up. if you let it melt a bit, it's almost like it was going for the sno-cone effect, but instead turns into these jagged little ice crystals. This stuff is down right weird! Glad it arrived! Have a good weekend! My typical assessment is that if a product's primary selling point is it's lack of calories, and it's a dessert, it's probably not going to be that good. If the secondary selling point refers to the lack of fat, then the muck gets deeper. Still, too bad, Dubba.